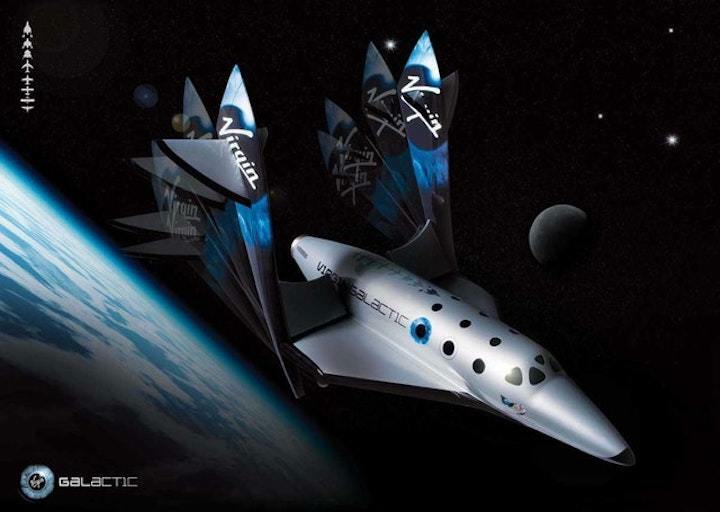 WASHINGTON — Virgin Galactic plans to perform the next test flight of its SpaceShipTwo suborbital spaceplane as soon as Dec. 13, a flight that could be the first by the vehicle to reach at least one definition of space. In a Dec. 11 statement, the company said the next powered test flight of VSS Unity, the second SpaceShipTwo, is planned for a window that opens Dec. 13 from the Mojave Air and Space Port in California. The flight would be the fourth powered flight for this vehicle and the first since July. The statement came shortly after the publication of airspace restrictions in the vicinity of the airport “for rocket launch and recovery” for Dec. 13 through 15. The flight will collect “new and important data points” about the vehicle at higher altitudes and speeds, including supersonic handling qualities and thermal dynamics. How well the vehicle is doing will determine how long they burn the rocket motor, the company stated. On the previous flight, SpaceShipTwo’s hybrid rocket motor burned for 42 seconds, while a full-duration burn would run about one minute. 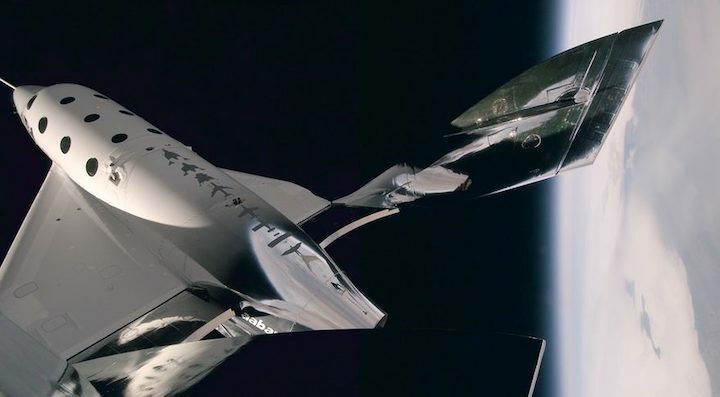 On that previous flight, SpaceShipTwo reached a peak altitude of 52 kilometers, and the company suggested the vehicle could go much higher on the upcoming flight. “At the end stages of the rocket burn in the thin air of the mesosphere and with the speeds that we expect to achieve, additional altitude is added rapidly,” it stated. The statement didn’t specify what it meant by “space altitude,” but company officials have previously said they were using the altitude of 50 miles, or approximately 80 kilometers, used by NASA and the U.S. Air Force for awarding astronaut wings. That is below the 100-kilometer Karman Line commonly used as the boundary of space, including in the Ansari X Prize competition won by SpaceShipOne in 2004. However, the Fédération Aéronautique Internationale (FAI), the world air sports federation that maintains records for both aviation and spaceflight, announced Nov. 30 it would reconsider that definition with an eye towards lowering it. The company said VSS Unity is set to take its pilots into an ‘expanded envelope’ for the first time. 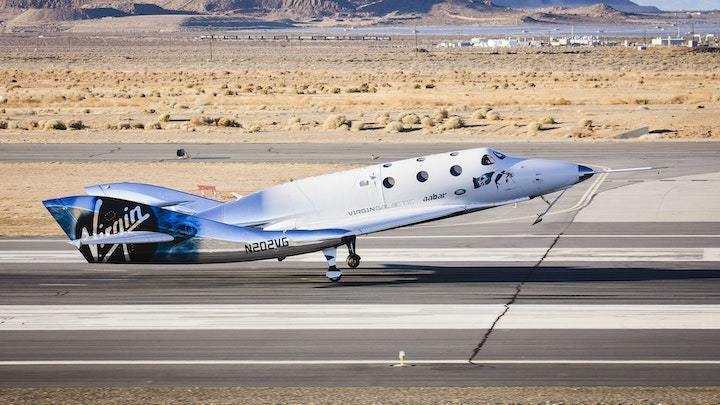 The company said their SpaceShipTwo, VSS Unity, has entered the next stage of testing which will “expand the envelope for altitude, air speed, loads, and thermal heating”. The rocket motor on the spaceship will burn for a longer period on the next flight which is set to take the pilot and aircraft into space for the first time. Virgin Galactic, founded by billionaire businessman Sir Richard Branson, said the window for the next phase will begin on Thursday but the nature of flight testing means it may take longer to get to the milestone. If this test flight in Mojave, California, is successful, the two pilots on board will experience an extended period of micro-gravity but “will be strapped in throughout”. As well as the higher altitudes, the company said they will also look to simulate the commercial weight distribution on the test flight in preparation for future passengers. 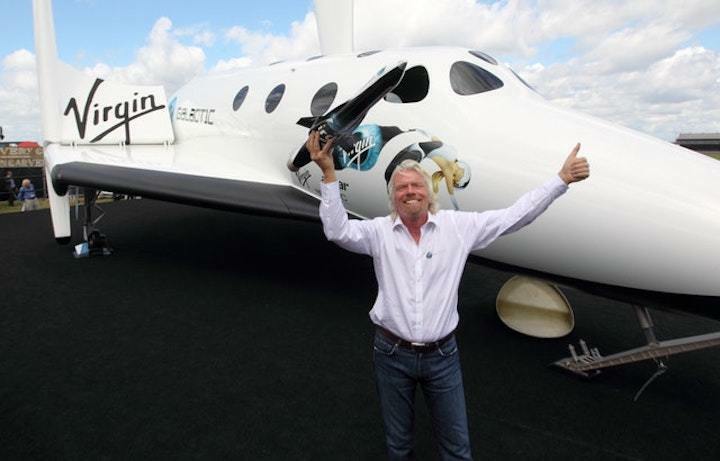 More than 600 people from 50 different countries have reserved places to fly with Virgin Galactic when all testing has been completed.